i heart napa: feeling a little naked. 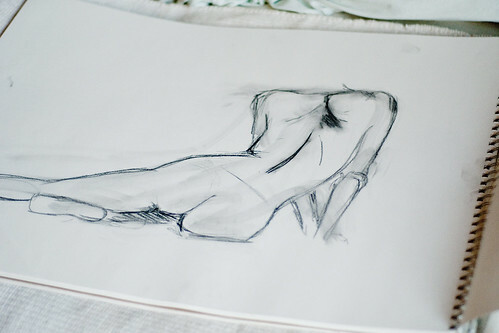 last year my super talented aunt gave me a box of charcoal and a pad of paper and told me to meet her the following tuesday at her drawing class in downtown napa. she had been asking me to join her for weeks and now that i had materials in hand, there was no getting out of it! boy, does she know me well. i will say it was such an inspiring class. the teacher, vicki long is beyond incredible and all of the other students were not actually students, but true artists...creating art worthy of a museum. 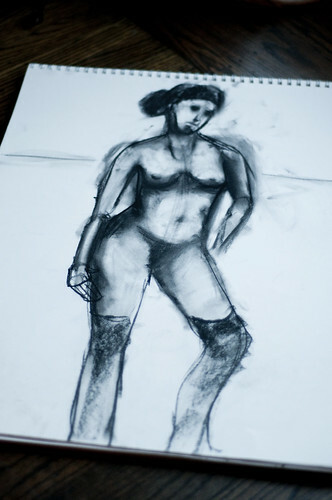 during that first class i experienced a whole range of emotions, starting with frustration, followed by embarrassment (because lets face it, these people were degas and i was a first grader) and ultimately, ending with pride. pride because even though i felt raw and naked and uncoordinated the entire class, i actually was able to create something a little better than a stick figure. the reason why i wanted to share this with the world is because this class reminded me how important it is to try something new and different. i am that girl who has three notebooks filled with big dreams...it is so easy for me to pour a glass of bubbles and curl up on a couch and journal those dreams. then because of my fear of failure, i put those journal away for another day. 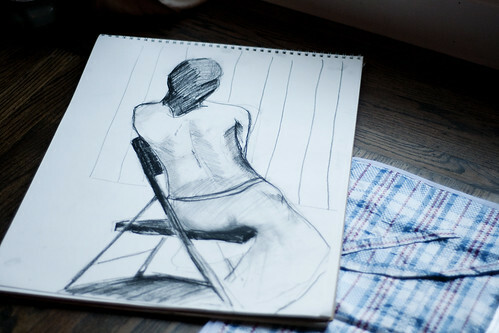 if it wasn't for my aunt and her encouragement, i honestly would have never tried figurative drawing. so...i hope this post might give you that little bit of encouragement you might need to try something new. if i can do it and then post my work online...you most certainly can too. click here to read an article on my brilliant teacher, vicki long.